Jonathan Thai resides in Cary, North Carolina, and is a junior at Research Triangle High School. He has been playing cello since six years old. He has been actively involved in orchestral training through Philharmonic Association with Triangle Youth Orchestra, Triangle Youth Symphony, principal cello in the season of 2014-2015, Triangle Youth Philharmonic Orchestra, NC All-State High School Honors Orchestra. He got selected to attend North Carolina Governor’s School for instrumental music in summer, 2017. Jonathan also was the first place recipient of Women’s Club at local, district, and state levels. 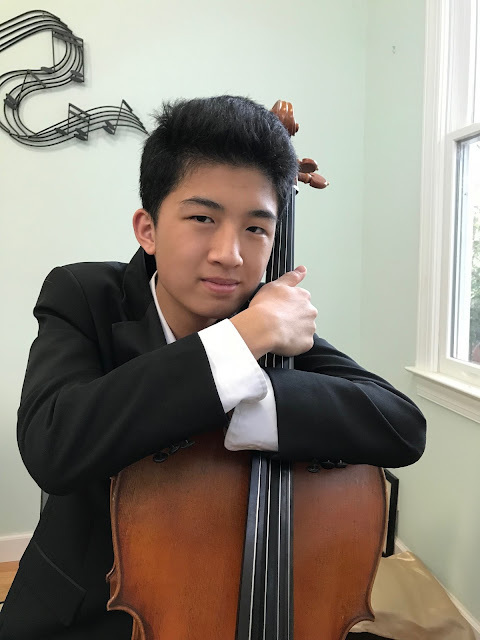 He also was the winner of American Allegro Fine Arts Association annual Young Artist competition in 2018 for cello solo, debuting at Carnegie Hall. He has been studying chamber music with North Carolina Chamber Music Institute since 2016, gaining the opportunity to play for a Master class led by the Juilliard String Quartet. His current teacher is Elizabeth Beilman, assistant principal at North Carolina Symphony.